First published in 1999, this volume is about unemployment and discrimination, with a focus on Northern Ireland and its debate over patterns of inequality between unemployed Catholics and Protestants. 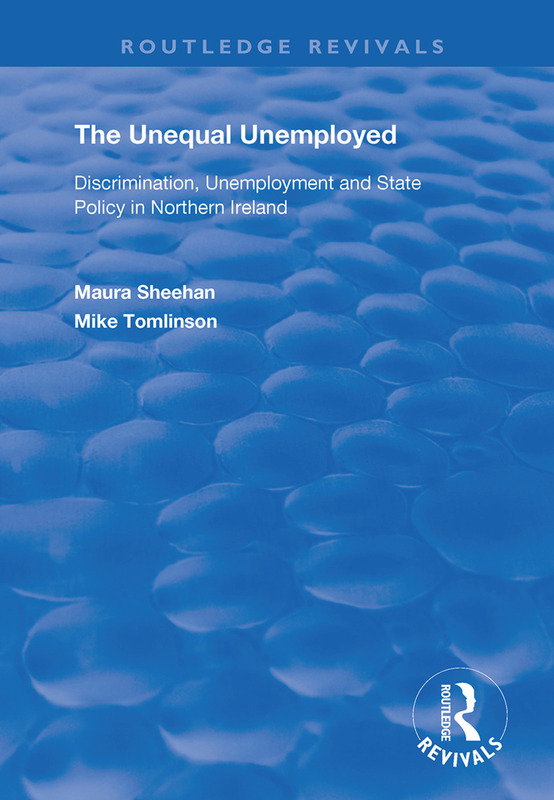 The Unequal Unemployed uses the important and revealing context of Northern Ireland to review the international debate on discrimination and the role of unemployment within it. This intellectual and political debate, active throughout the past decade, represents a conflict between: a) The traditional view that unequal unemployment is evidence of labour market discrimination against minorities and other distinct social groupings. b) Recent models which explain unemployment either in terms of individual responsibility or innate inferiority and attack the 'equal opportunities industry for its attempts at social engineering. Maura Sheehan and Mike Tomlinson approach these theories using unique survey evidence, gathered through a comprehensive evaluation of anti-discrimination policy. They contradict the view that differences in unemployment between Catholics and Protestants in Northern Ireland are the result of personal attitudes and 'religious culture'. The book demonstrates that unequal unemployment arises from various discriminatory structures and practices - all of which are amenable to policy intervention. However, while more radical measures may achieve change, these must be developed within a policy framework which stimulates labour demand and economic development. Such a framework is constrained by the continuing political conflict within Northern Ireland.